Later this summer we’re bringing back our One-Day Workshops. 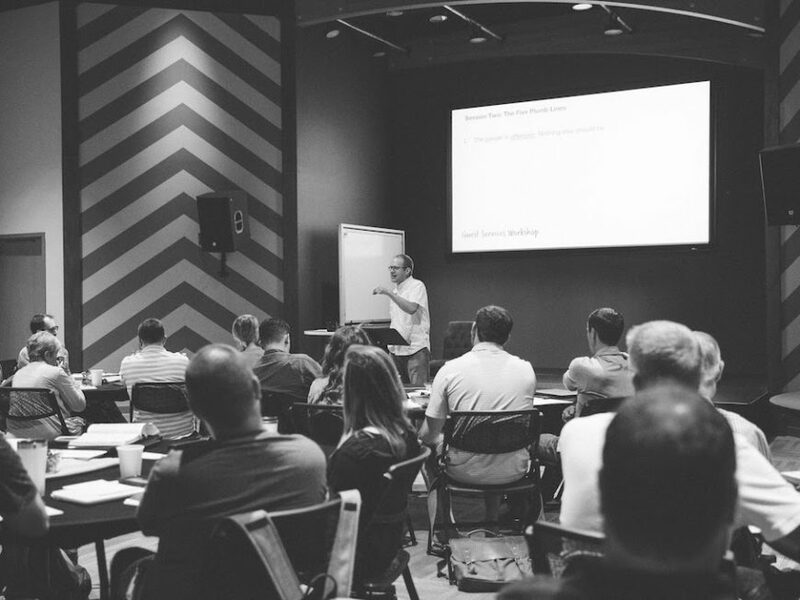 Since 2016, over 200 leaders from nearly 90 churches all across the U.S. have taken part in these practical training events. This year, we’re bringing back our most popular topics and adding one of our most-requested ones. So, what’s a One-Day Workshop? July 17: Guest Services. You’ll learn what it takes to build a guest-friendly culture, how to develop a vision for hospitality at your church, and how to navigate some of the challenges surrounding the “big three” … parking, seating, and first time guests. September 11: Volunteer Culture. If you struggle with finding them, training them, keeping them, motivating them, or even firing them, you’ll discover some new ways forward as you equip the saints for the work of the ministry. (NEW!) October 16: After the First Visit. One of our most-requested subjects is assimilation: how do we move our guests from simply being connected to our church to committing to our church? We’ll talk through first-time guest follow up plans, reproducible systems, and next steps that will help people stick. Each Workshop is $99 per person, which covers breakfast and lunch, snacks and drinks throughout the day, and helpful resources that you can put into practice almost immediately. Workshops are priced affordably, because we strongly encourage you to come with at least one other person from your team (staff or volunteers). Load up the van, and amplify the impact on your church! But remember: each event has limited space, and they fill up quickly. Lock in your team and RSVP today!